The amazing world of camera is growing tremendously. New digital cameras with a lot of good features keep being developed that none of us can catch up. Actually, it is a lot harder to choose a camera for your own purposes whether it is to take a group/family photo or record your daily activities. More importantly, the price could be highly unaffordable, not to mention that you may choose the wrong one you don’t even like. I know the feeling. That is why I wrote this article on How To Choose A Camera just for you, who is looking for the best camera for your passion. Below is the 8-step technique that you should know before buying a camera. #1: Why Are You Buying A Camera? This will be the first and the most important thing to consider before buying a camera. It will definitely help you reduce the range of cameras you should aim for. Do you want to shoot family gathering? Sceneries while on vacation? Professional photo shoots? Headshot for actors? or record yourself for a nice good-looking video? Knowing the purpose of the camera will help you decide whether you should go for a point-to-shoot or pro camera for all-round usage. Now you already know why you want this camera, the next step is setting the amount of money you are willing to spend. Be advisable that the market is flooded with many types of cameras that are priced differently. A compact point-to-shoot will cost around $60-$900, for DSLR budget around $400-$7000 and for a mirrorless camera $350-$2300. Are you a beginner trying to learn photography and video recording? An all-in-one camera would do the job for you. Or a professional in the field of digital photography trying to find a perfect camera to purchase? Well, it is going to be a little bit more complicated to find your appropriate camera. By now you should have a rough idea of the camera you want. The next big step is to read reviews on camera buying websites and chat rooms. Remember reviews are everywhere and not all provide the right information. Do your research well and try to read reviews written by professionals. The trick is to read many reviews and to average the opinions they are giving so as get a complete compromise camera. However, that would take tons of your time so I’m not so into this method. By averaging the opinions range of the reviews you will be able to come up with a good selection criteria. A good criteria would focus on the performance, features, photo quality and the design of the camera. Appreciate the fact that no camera is good enough to beat all the others in the four core criteria. Stick to the basics and know you want the best camera for your needs, not the overall ‘best’ for those who are starting out your photography career. For the professional photographers, focus on your ideal features and find the one that fits most of your criteria. Narrow down your choices to the best two models with the picture of your selection criteria in mind. Compare the price, value and even the after-sales service for each model. Examine whether they are in line with what you want. 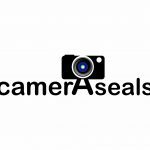 This will make your decision easy, and more accurate saving you the confusion of the many cameras in the market. Bad things can happen on your camera when you least expect. Make sure the camera you are to buy comes with a cover (warranty) for such scenarios. In most cases, all officially bought cameras come with at least one year warranty meant to cover all manufacturing defects. Always check the validity of the warranty for every purchase you make. This the final and the most critical step, you can buy your camera online or from your local camera shop. We highly recommend visiting your local camera shop, this is because, with online purchase you don’t get the chance to try your camera and no one is there to offer advice. You will need to hold the camera in your hand, try it and speak to the assistant. All this can only happen if you visit a local camera shop where you will have all your concerns addressed straight away. Make sure the camera gives a quick access to the features you will commonly use, simple structured menus and it’s easy to learn. Beginners in the digital photography find great comfort in using basic point to shoot cameras. What most don’t realize is that there are innumerous options that suit your needs as you advance your knowledge on photography. For long, first-time photographers have suffered the constant frustration of too difficult DSLR cameras. However, things have changed and manufacturers are presenting fantastic entry level cameras that are easy to use. If you are looking for a camera that will be at peace with your growing skills, brave yourself to spend more. The following are some of the things to look for in a good camera for beginners. If you want an entry-level camera with simplified operation and greater functionality go for those with a touchscreen display. The best camera for beginners should be lightweight and smaller in size than the advanced cameras. Make sure the camera fits your hand perfectly so that it appeals to you as you advance from the point to shoot camera. A big or heavy camera may discourage you and you will soon prefer leaving it at home. RAW shooting: A good camera for beginners should be able to record RAW image format or JPEG format. Maximum burst mode: When using the JPEG format the camera should record at least 5fps (frames per second) at full resolution in burst mode. You should expect the camera to slow down considerably when shooting in the RAW format. Autofocus system: The camera should include both the manual focus and the autofocus system. ISO range: It should possess a higher ISO range to allow you to shoot quality photos in low light conditions. Viewfinder: The camera should have the capability to use the optical viewfinder or the digital viewfinder. Image sensor: a good camera for beginners should have large image sensor to be able to perform well even in low-light condition. Resolution: the resolution of the camera should be good enough to meet all your needs as a beginner. Due to the growth registered by the industry, it’s now easy to find a good video camera that will suit all your needs. If you are a newbie or a pro filmmaker there is no need to worry, the cameras come in different prices from low-budget right to the top-end. All you need is to know what will work best for your and set the amount you are willing to spend. Mirrorless and SLR (single-lens reflex) cameras are the best options for creative filmmaking because they offer a good balance between affordability and image quality. If you are covering news and events go for Camcorders (pro or semi-pro) because they are quicker and easier to use. For school and education iPads will give you the best results. For documentaries and mobile journalism consider acquiring a good iPhone which will give you a friendly usability. When recording outdoor activities go for Action Cameras. With that in mind you should also be knowledgeable enough to select the best video camera out of the host of options in the market. A good camera for video should possess the following features. If you are serious about your film career get a camera that will allow you to set white balance. Exposure, sound levels, etc. by yourself. The camera should have a good built-in microphone and a headphone socket to enable you to listen to the sound as you record the video. Any camera that allows you to plug in separate microphone would sound good for all filmmakers. If you have any plan of using pro microphone go for a camera with the 3-pin XLR inputs. This is an essential feature if you are shooting handheld, otherwise if you are to use camera support or tripod it may not mean a lot. A good camera for video should be able to zoom in (telephoto) and zoom out (wide angle). The wide-angle setting is vital as it allows you the freedom to get close, making handholding easier. Compare this by examining the cameras 35mm equivalent; if its 25mm 0r less that is great and if it is 30mm or less that sounds good. You should also know that the optical zoom range is more important here than the digital zoom range. In any case, if the camera doesn’t have a wide zoom range it should be able to support telephoto and wide-angle adapters to the front of its lens. The camera should also have a good focus and wide aperture. If the value is something f/2 or f1.7 the camera is good as it would work perfectly even in low light. Selecting a camera with a recording format that is compatible with your editing program, an easy to edit format would be nice for any filmmaker. If you are shooting for web purpose go for cameras which can record 4K video, otherwise HD and full HD (720p) will be okay. Large sensors are the best is low-light conditions because they give shallow focus effects. They also give you the freedom to use smaller aperture without any diffraction softening the image. If you are shooting events and news go for cameras with smaller sensors, they are very useful for their depth of field. It requires deeper knowledge on the quality of work you are looking to deliver and finding the best feature-rich camera to get you there. Finding the best camera for your photography begins with this foundation of knowledge and not fearing to making subjective choices. Just ensure you get a camera that is able to deliver detailed, appealing and accurate images. For crisp sport shots get a camera that is able to perform well under low-light, high shutter speed and takes noise-free shots at high ISOs. For portrait photographers get a camera with good color depth so as to take accurate and lifelike portraits. A camera with superior dynamic range would be the best for landscape photographers. 35mm sensors (full frame) will deliver crisper details, excellent low-light performance, wider field of view, shallower depth and dynamic range. If you are looking for a cheaper option go for the APS-C equipped cameras, they are also capable of delivering professional-quality images. These sensor are typically lighter than full frame and are capable of cropping images. A good camera for professional photography should be able to capture the right moment with precision. The quality of the images/photos is basically influenced by the ability of the camera to capture key moments at the right time. This means you need to ensure the focus points and type of focus for the camera is top notch. This factors influence the speed with which your camera locks onto subjects. The greater the number of focus points the more accurate and faster the focusing is. There are two type of focus in the most of the DSLR cameras contrast and phase detection. Contrast detection is more reliable and accurate. However it’s not fast enough hence not good for sports and action photography. Phase detection utilizes more focus points and is able to focus on any moving subject quickly. However it’s not as reliable as the contrast detection. Long battery life will allow you to capture more moments without interruptions. A good camera for photography should be able to give you an average of 1000 shots per charge. Most professional photography cameras don’t have a built-in image stabilization and rely on stabilized lenses. Lens stabilization is superior and performs well in low-light condition and longer focal lengths. However, you can still find cameras with built-in stabilization, such camera will allow you the freedom to stabilize any lens. These cameras come in many shapes and sizes and it’s easy to find your perfect fit. Cameras with designs focused on reducing the overall weight and size ends up reducing battery life, physical controls and features. Those going the other way are the best as they are feature-rich and produce excellent photographs despite being wide and unwieldy. The following are some of the secondary feature you can consider as a professional photographer. That is everything from my opinion on how to choose a camera for your needs. Although there is a wide variation of these photographic tools in the markets. This should give you an idea to find a camera that will match your skill level and at the same time satisfy your needs comfortably. One thing you must have realized is the varying prices of the camera in the market. This is an advantage as everyone can be able to find the best camera on the budget they have set. Next time you go shopping for a camera adhere to some of the basic rules here and you should be able to avoid mistakes that a lot of people have been making.